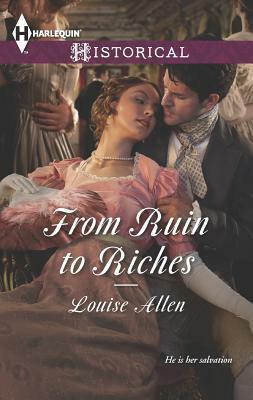 Ruined and on the run, Julia Prior is in desperate straits when she meets a gentleman with a shocking proposal. Certain he is close to death, William Hadfield, Lord Dereham, sees Julia as the perfect woman to care for his beloved estate when he is gone -- if she will first become his wife…. Marriage is Julia's salvation -- as Lady Hadfield, she can finally escape her sins. Until three years later, when the husband she believes to be dead returns, as handsome and strong as ever and intent on claiming the wedding night they never had!